On October 2, 1980, the mayor of the City of Waterloo announced the city would form a partnership with Porta Westfalica, West Germany. The announcement was the culmination of months of active promotion and planning by Waterloo’s Vera Kohlmeier and Porta Westfalica’s Helmut Macke. Genealogical research led Mrs. Kohlmeier to the area surrounding Minden and Porta Westfalica, and, she eventually concluded that perhaps two thirds of the German-ancestry citizens of Monroe County could claim heritage from this area of northern Germany. Because of similar research by citizens on both sides of the Atlantic, letters were exchanged and face-to-face meetings were held in both countries. The happy result was official Sister Cities status for the Waterloo-Porta Westfalica Partnershaft, or, partnership in April 1981. Porta Westfalica came into existence in 1973 as a consolidation of 15 villages into a modern city of 40,000 people. Located on the Weser River in northern Germany, Porta Westfalica is situated in a valley between two large hills and takes its name from its prominence as the “gateway to Westphalia.” A major point of interest is the Kaiser Wilhelm memorial atop one of these hills. The area is known to tourists and vacationers for its large number of windmills, resorts and unique mixture of old and new. After the official sister city partnership, plans began immediately for a visit to Waterloo by the famous Blaserkreis, Porta Westfalica’s 70-member youth brass band and their chaperones. The 10-day tour of the Blaserkreis came in July 1981 with concerts in Waterloo, Belleville and St. Louis. Families in Waterloo and the surrounding area hosted the German visitors; we took this group of young musicians into our homes, and, quickly into our hearts. Out of the Blaserkreis visit arose a new annual event in Waterloo: Porta Westfalica Day, jointly sponsored by Sister Cities - PortaLoo, the Chamber of Commerce and the Lions Club. This festival celebrates our partnership with the Porta Westfalica and features a parade, music, food and crafts that are all part of the area’s cultural heritage. The success of these visits can be measured partly by our receiving the Reader’s Digest Award for the Best Single Sister City Project in the small-city category. Since 1982, Waterloo has received six other Reader’s Digest awards in various categories. The City of Waterloo was recognized as the Illinois Sister City of the Year - 2008 at the Illinois Municipal League Conference by the Illinois State Chapter of Sister Cities International, Inc. It honored Waterloo along with Porta Wesfalica, Germany for outstanding cooperation between their municipal governments in developing and maintaining mutually beneficial relationships. From the very beginning, officials and citizens of both cities have visited their counterparts abroad, enjoying home visits. Opening a door to all for world involvement. It is a special characteristic of Sister Cities that citizens and government officials work hand-in-hand to further the goal of a broadened awareness and understanding of our culture commonalties. 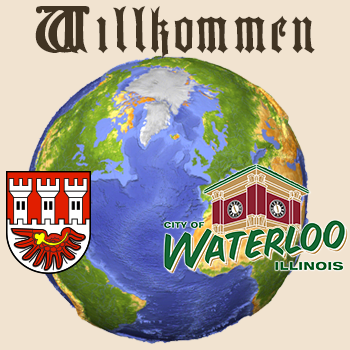 Each summer since 1982, students from Porta Westfalica have spent several weeks in Waterloo as part of an ongoing exchange program. Every year since 1984, Sister Cities - PortaLoo has sponsored visits of local youths to Porta Westfalica. In June 1982, the Waterloo German Band and 40 other adults traveled to Porta Westfalica. The group was able to establish lasting friendships by living with host families. Forty-five people from our area were on hand in March and April of the following year to celebrate the tenth anniversary of the Blaserkreis and the tenth anniversary of the founding of the City of Porta Westfalica. Later in the same year, 45 adults from the Porta Westfalica area visited Waterloo. The Blaserkreis returned to Waterloo in July-August 1984. This time, the group numbered 120 and included the band members, an accordion group and folk dancers. Since 1984, alternating large group visits between Waterloo and Porta Westfalica have occurred every two years with many other small group, friend and family visits in between. In September 2006, a delegation of 32 Waterloo guests traveled to Porta Westfalica and joined in a 2-day celebration of the 25th year partnership anniversary, 1981 – 2006, renewing past friendships and accomplishments recognizing those individuals from both cities past and present who were instrumental in the support of the partnership. Joys and sorrows have been shared in our partnership with Porta Westfalica: anniversaries, birthdays, engagements, deaths and lifetime friendships. These occasions have only strengthened our ties. Monetary donations have been sent from Waterloo to Porta Westfalica for aiding East German refugees. During the 1993 perilous flood to Valmeyer residents, Porta Westfalica sent monetary donations for flood relief and recovery . Sister Cities - PortaLoo has aided surrounding communities in establishing sister city relationships. Our neighbors from Columbia, Belleville and Millstadt, Illinois have formed partnerships in recent years with Gedern, Paderborn and Gross Bieberau, Germany. We often participate in combined functions and freely exchange ideas with Sister Cities organizations in both Illinois and Missouri. It is the philosophy of Sister Cities - PortaLoo that in Sister Cities work there are no boundaries! The chief goal of Sister Cities International is to advance global understanding, and, therefore, the cause of peace by encouraging and assisting sister city relationships between US communities and cities throughout the world. An outgrowth of President Eisenhower’s People-to-People Program (initiated in 1956), Sister Cities International has helped more than 745 U.S. cities establish links with over 1,000 communities in 86 other nations of the world. The organization itself was incorporated in 1967 and supports its activities by private contributions, foundation grants and funding support from the US Information Agency and the US Agency for International Development. 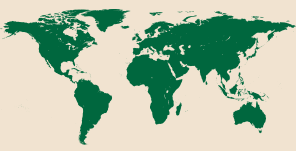 The major activities of Sister Cities International are technical assistance programs with developing nations, youth and education programs, a national awards program, assistance in formalizing new affiliations and a research and informational service.